Here’s what you told us in 2016! You’ll find our survey questions for this year’s report here! This is our fifth annual report of the state of educational blogging. There has only been a slight increase in one to one devices in the 5 years we’ve surveyed educators (51.6% selected Yes in 2016 compared to 52 % in 2015, 44% in 2014, 45% in 2013 and 41% in 2012). 25.5% of respondents with one to one device programs are BYOD and 25.7% of respondents with one to one device programs are provided by the school or school district. 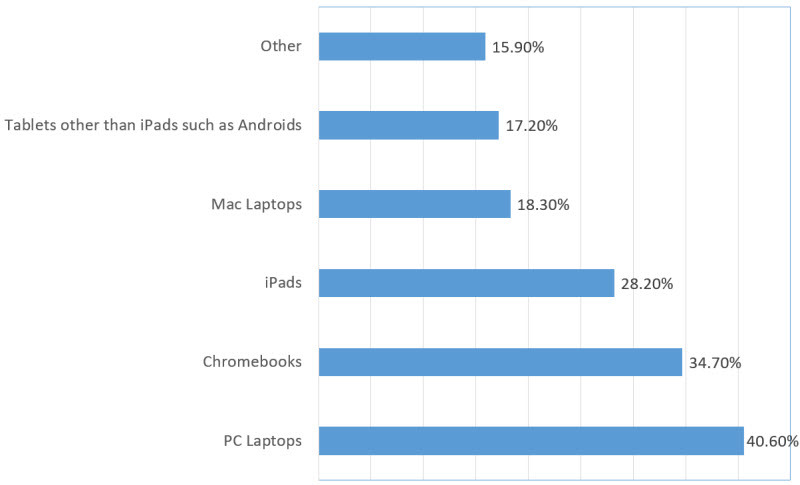 PC laptops were the most commonly used devices (40.6%) in one to one device programs followed by Chromebooks (34.7%), iPads (28.2%), Mac Laptops (18.3%) and other tablets besides iPads (17.2%). The current trend in one to one programs appears to be an increased use of laptops (PC, Macs or Chromebooks) with a decreased usage of tablets. The majority of respondents told us they mainly used their blogs for class blogs (31.5%), class blogs with individual student blogs (19.2%) and for student blogs (17%) and many also had their own personal/personal blog (15.7%). 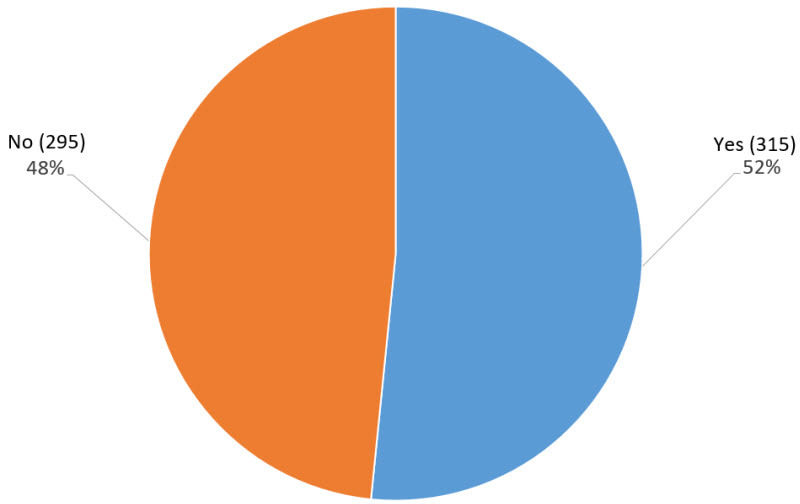 Based on student blog usage from Edublogs.org, 51.59% of student blogs are public and can be viewed by anyone and 48.41% of student blogs are private restricted to specific readers. 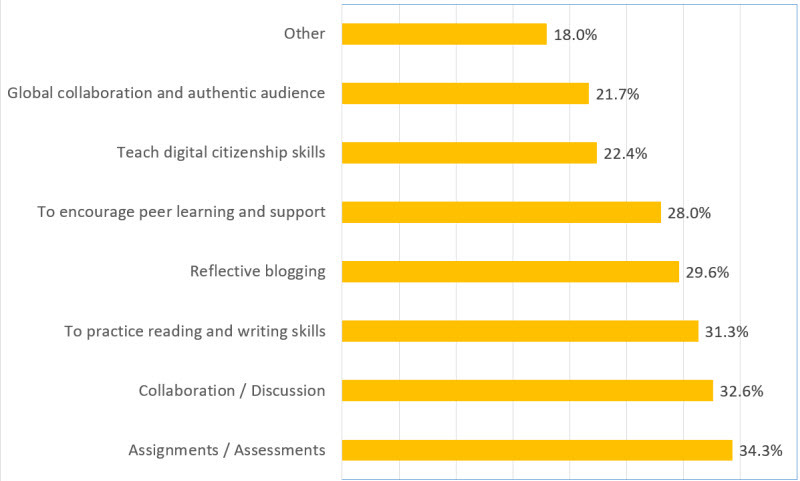 The ways respondents said they used the student blogs include for assignments/assessments (34.3%), reflective blogging (29.6%), collaboration / discussion (32.6% ), practice reading and writing skills (31.3%), encourage peer learning and support (28%), digital citizenship skills (22.4%), global collaboration and authentic audience (21.7%). While most class blogs were used for: assignments and class news (42.7%); share information with families (37.3%); and share links and resources (33.1%). 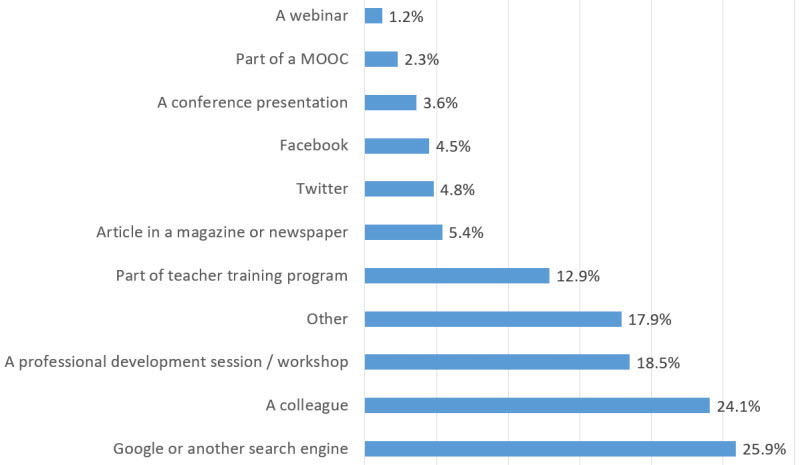 Most respondents used Edublogs (59.4%), followed by Blogger (13.6%) and then WordPress.com (7.8%). Given that the survey was shared to all Edublogs users, we know this most likely doesn’t accurately reflect true usage statistics, but the survey was open to users of all platforms. It’s quite common for educators to host their blogs on several different blog platforms. 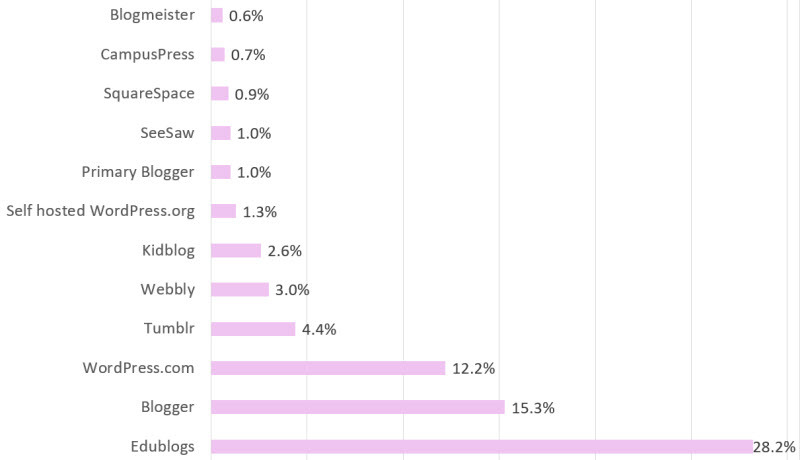 Edublogs (27.6%) was the most common second main blog platform used, followed by Blogger (15.2%) and WordPress.com (12.2%). This year’s survey was conducted from Dec 14, 2016 – April 10, 2017 and a total of 688 respondents took part in the survey. The survey was promoted via Twitter, Facebook and through blog posts. We encouraged replies from educators regardless of what blogging platform they used. You can check out the questions we asked here. We started with basic inquiries about our respondents’ background to learn more about their role and their educational institution. Respondents were able to select more than one checkbox for most questions which is why the results for some questions add up to more than 100%. Majority of the response were by teachers (44%) followed by students (34%). 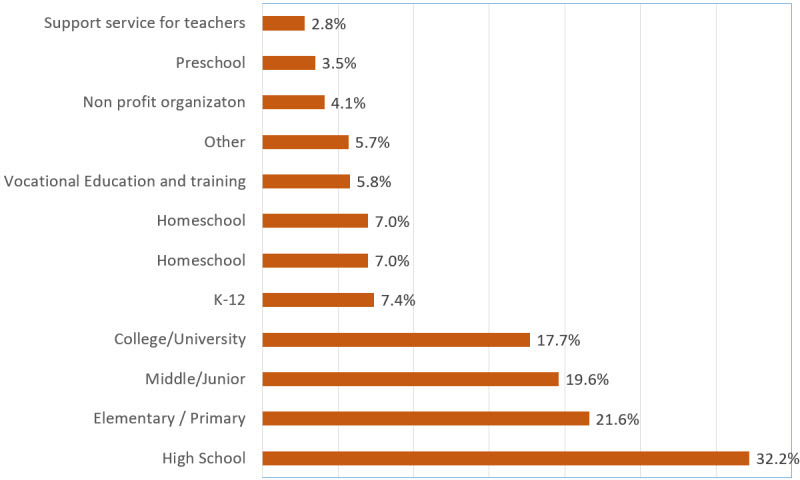 Most were based at public schools or institutions (68.8%). Roughly a third were based in High Schools (32.2%) followed by Elementary/Primary schools (21.6%) and Middle/Junior (19.6%). 52% of respondents were based at educational institutions that have or will soon have a one to one device program. There has only been a slight increase in one to one devices in the 5 years we’ve surveyed educators (52% selected Yes in 2016 compared to 52 % in 2015. 44% in 2014, 45% in 2013 and 41% in 2012). 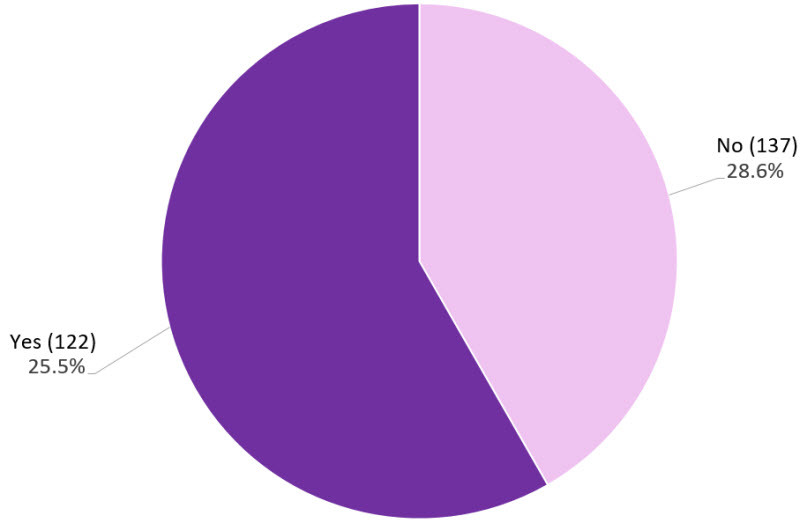 This year was the third year we asked respondents if their one to one device program was a BYOD program. 25.5% of respondents with one to one device programs are BYOD and 28.6% of respondents with one to one device programs are provided by the school or school district compared to 35.9% respondents with one to one device programs were BYOD in 2015 and 15% were BYOD in 2014. 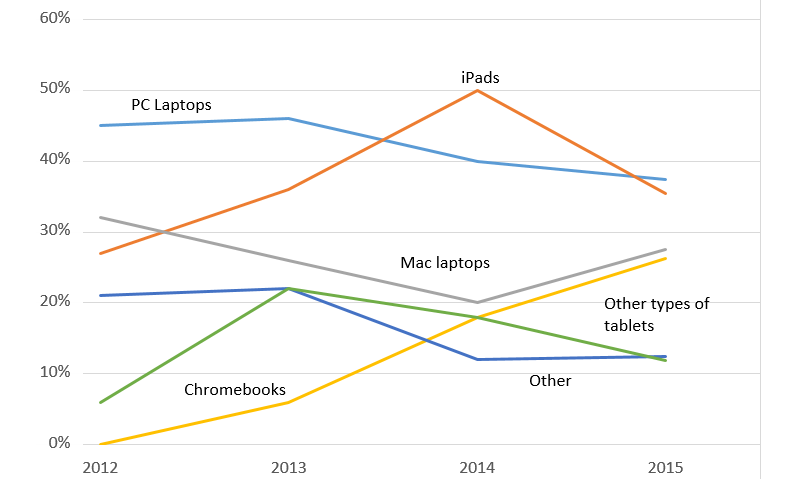 PC laptops were the most commonly used devices (40.6%) in one to one device programs followed by Chromebooks (34.75), Pads (28.2%), Mac Laptops (18.3%) and tablets other than iPads (17.2%). Devices usage in one to one programs from 2012 to 2014 shows an increase in iPad use (from 27% in 2012 to 50% in 2014) followed by a decrease in iPad usage in 2015 (35.4%) and 2016 (28.2 %), slight change in PC laptop usage (from 45% in 2012 to 40.6% in 2016), decrease in Mac Laptops (from 32% in 2012 to 18.3% in 2016) and increase in Chromebooks (0% in 2012 to 34.7% in 2016) and other types of tablets (from 6% in 2012 to 17.2% in 2016). Many of respondents were introduced to using blogs through a professional development session / workshop (18.5%) or via a work colleague (24.1%). This year was the second time we asked for respondents’ geographical location. 50% of the respondents were based in United States followed by Australia (8%), Canada (6.5%), and United Kingdom (6.4%). Other locations include South American, African, Asian, European and Middle Eastern countries. 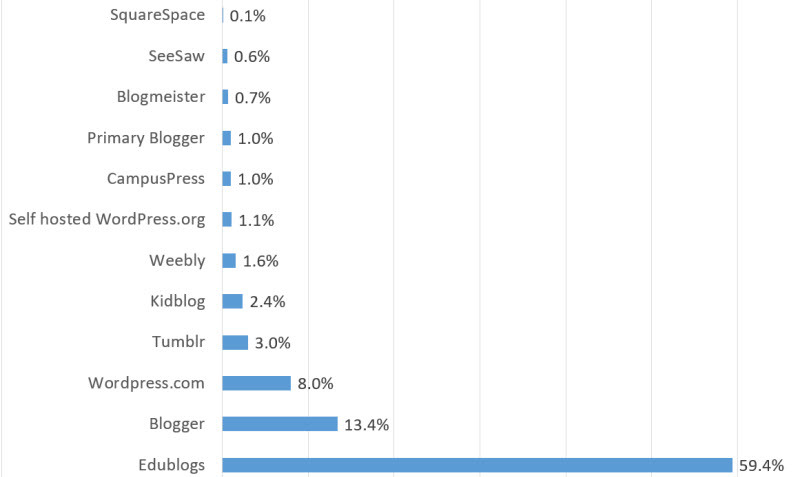 Next we looked at how respondents used their blogs. Majority of respondents told us they mainly used their blogs for class blogs (31.6%), class blogs with individual student blogs (19.1%) and for student blogs (17%) and many also had their own personal/personal blog (15.7%). 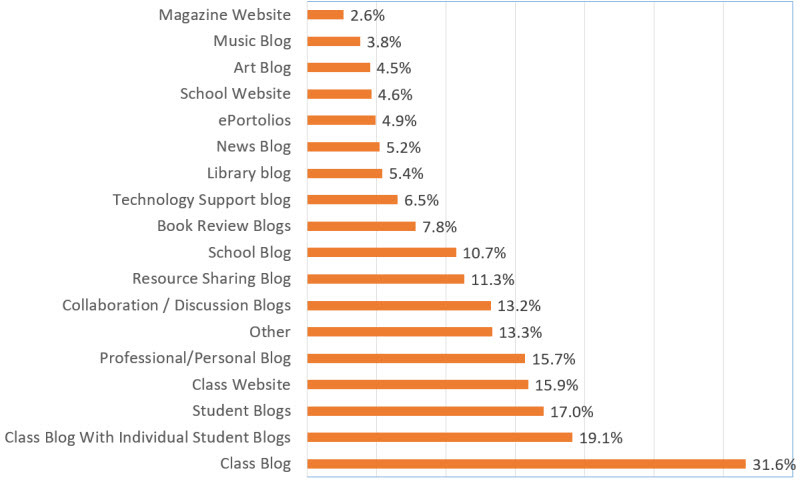 19.1% of respondents told us their students had individual student blogs. The number of individual student blogs supervised by educators varied considerably: the maximum number was approximately 500 blogs. 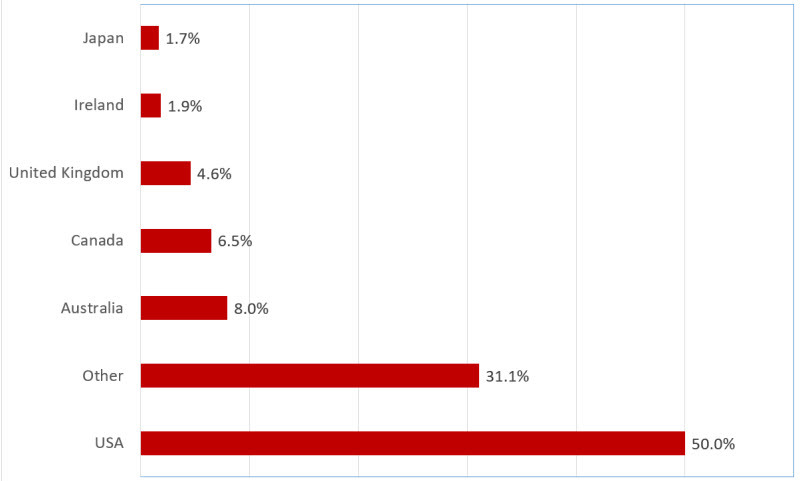 Based on student blog usage from Edublogs.org, 51.6% of student blogs are public and can be viewed by anyone and 48.4 % of student blogs are private restricted to specific readers. 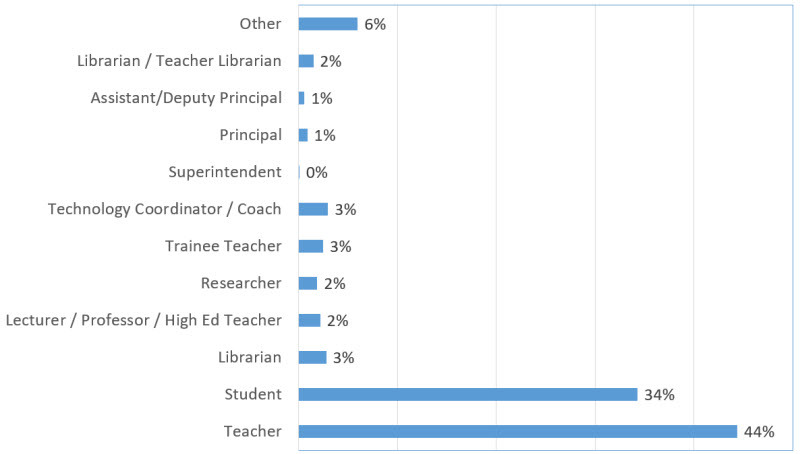 Based Edublogs.org usage, 0.68% of educators moderate all comments on student blogs while 0.54% moderate all posts on student blogs. Posts/comments on these student blogs aren’t published until checked and approved by a teacher. Respondents said they used the student blogs for assignments /assessments (36.6%), reflective blogging (33.7%), collaboration / discussion (23.5% ), practice reading and writing skills (21.8%), encourage peer learning and support (19.3%) and digital citizenship skills (17.7%). While most class blogs were used for: assignments and class news (42.8%); share information with families (37.2%); and share links and resources (33.0%). The following benefits of blogging were summarized from the 2014, 2015 ans 2016 survey responses. Or watch What is Blogging? For Elementary Students? Using a blog platform as our main website is the most efficient way of quickly sharing all the amazing learning that happens in our school. All teachers contribute and children are encouraged to comment (which they do). Our blog has improved communications with parents, how children learn and raised our schools profile. My advice to new educators is to be consistent. Find a system that works with you and your students and stick to it. This is a great way to mitigate completely preventable issues, like students not knowing where to post assignments, or where to look for new assignments. Love it – started 6 years ago, and as far as I am concerned, it is way more useful than having a twitter account. Parents and family can access it if and when they like, and scroll back to see the last 6 months of blogs. I love it in September, and suggest to new parents that they look up and show their children things we did last year in my class. Keeping weekly lesson plans on the blog platform has made things so much easier. Instead of having multiple tabs open if I want to share a video or a song with the students, I just click the link in my blog. I’m also able to go back throughout the year to review things I’ve done with the kids. Students are able to send comments as well, and that feedback helps me make decisions about what else to include. Supply links to other valuable websites such as World Book Online and library catalogs. A class blog is a wonderful way to communicate information to parents and give them a glimpse into what is going on every day in their child’s classroom, without the worry of losing a paper newsletter. If a parent says they didn’t know about a test, for example, I just say, it was on the blog. This is a great way to give them a snapshot of what goes on in our classroom and a great way to keep parents informed as emails tend to get buried. Parents can quickly refer to the blog instead of needing to ask the teacher. No photocopying, easy to post. I also pose interesting questions on the blog and kids and their parents can research it and post so all can see, e.g., what is the smallest mammal on Earth. Blogging builds on digital/media literacy and digital/global citizenship. Blogging has been a great way to archive class events, connect with others and showcase work from students. Blogging has opened up our classroom to communications with students and teachers around the world. Blogging is exciting and fun for my students and it makes them work hard to do their best because they have a global audience. Blogging is a fantastic way to encourage community and collaboration, and creativity in my students. Our class blog provides an insight into our class. It allows absent parents or those who work away from home to keep up to date with what their children are learning about and this enable us to build a learning community which parents feel part of. Blogging also allows us to educate the parents on the experiences and outcomes that are central to the Curriculum for Excellence which we follow and that active play is central in learning for children. Blogging is a fantastic way of sharing what is happening in the classroom with the wider world and for students to engage in authentic communication. With good use of tags and categories, it is also a great way of organizing web-based resources. I find it so satisfying having students comment on the class blog and ask if they can create a new page. They take an incredible amount of interest and pride in what goes into our blog and they enjoy sharing with their families. My team teaching partner now timetable (blogging) into our weekly literacy classes. Technology makes even mundane tasks more engaging for my students. Putting some of my spelling tasks online means that my students are more likely to be engaged. Also, I am trying to encourage some ‘flipped classroom’ strategies and posting work, explanations, images and videos is allowing me to develop this teaching strategy. We also use the blog to publish parent feedback, community news, photographs, information, transition information. The list is endless. Blogging is frequently seen as so much of a give and take process that has to involve so much feedback from the outside. I was pleased to find out that it can also just be a more simple way to push out assignments and share information instead of the drudgery involved in trying to maintain a website. The Edublogger class blog list – includes Maths, Science, English, History, LOTE, EFL /ESL, Library, School news blogs and more! Blogging lets the quiet student shine. My students love sharing their writing with an authentic global audience. They love “glow” and “grow” comments that help them improve their writing. They love meeting new people. Blogging helps us meet several CCSS in language arts and is one way to address our school district’s goals to communicate, collaborate, create, (and be critical thinkers). Blogging is a great way to give a voice to students and let them learn from each other. Blogging helps the students to think without pressure, to carefully consider their reply and to feel part of the discussion. It is an ongoing process to reach out to everyone and all will not get on board. Keep plodding…keep encouraging and modelling good netiquette…and hopefully some will take off with their involvement and encourage others along the way. For my students, blogging has taken their writing to a new level. Knowing that other people will be reading their blogs has helped them to understand purpose in writing at a much deeper level. They are elevating how and why they write to share their learning. Additionally, they have also been reflecting more as learners, and they better understand their own learning process! I couldn’t ask for more as their teacher! My students blog everyday. It has given their learning purpose and empowered them to take charge of their learning. They are publishers now and often choose to write on their own. It allows all of my students to be successful and work up to their potential. It promotes collaboration and allows them to connect globally. They use it to connect globally as well. We have 6 iPads and daily use of a MacBooks cart. We also BYOD However. we usually work in pairs or teams to foster collaboration and would do so even if we had more equipment. A big step forward from fridge magnets holding up a piece of work on the family fridge. Blogging is a great way to keep discussions fresh and authentic. The opportunity to provide a written response that is potentially public in nature, allows the students to think about what they write in terms of prioritizing their thoughts and making them a footprint of their though process that carries more weight in terms of visibility and digital citizenship, as opposed to an essay that is only read by the teacher that can be quickly forgotten. To quote someone whose name I don’t remember – when students write for you they want it to be good enough. When they write for an authentic audience they want it to be really good. Blogging is a great way to teach writing skills while also allowing students to see the power of a global audience. It is a wonderful motivator and such an easy transition in your classroom since you have students write anyway. it is also a wonderful way to teach citizenship skills since they need to learn what is and isn’t appropriate to “put out there” in a professional setting as well as how to leave comments for others. It is also a tool that can be modified for every grade level. I encourage all our teachers to incorporate blogging and slowly they are. Blogging helps with reading, writing, artistic, critical thinking, and social skills. It has revolutionized and energized the way I teach. It has made me a teacher and a learner, and made my students learners and teachers. Blogging is the one activity my students are consistently excited about, and something they will do on their own, on weekends, after school, on vacations. We just finished our school year with a Skype visit with a class we met through blogging. Blogging is a big part of my classroom program. I have found blogging an excellent way for students to reflect on their learning and share their learning experiences with family members. I have my students blog to get them to practice a different way of writing while using technology. Blogging makes what we do as schools, educators and students transparent. The home:school connection is essential for student success, and blogs are a great way of making that success realistic. I do a lot of the posting at the beginning of the year and turn it over to my students as the year progresses. It also gives us a place to display projects. Students need to understand all that is happening in this new era of technology, and blogging is a great way to introduce them to more than just the video games that they play. Each student, K – 12 has an ePortfolio which is shared with parents. The school also allows parents to access report information all the time with student reporting of assessment for both formative and summative types being displayed for parents and students. Report adds are delivered digitally and manually. All students use the ePortfolios in their Student Led Conferences to discuss their learning goals, areas for improvement and growth. Watch The Possibility of Student Blogging by Andrea Hernandez and Slivia Tolisano. Blogging has created a way the students can share their work with a global audience and peers all over the world. They enjoy reading the comments posted and it empowers them to create and strive for their best effort. My students now have a reason to write as they share with their peers all around the world. Through our blogs, they are gaining a better understanding of how other people live and learn. We have access to professionals in the field who extend their learning. Blogging is fun, teaches real world skills, and opens the door to the global community. The student blogging challenge was an eye-opener from which I have never looked back. The global audience made a huge difference to my views on blogging. It’s a good way to reflect on your teaching practices. I started blogging as a reflective process. Professionally speaking, this has been the largest influence in my growth as an educator. “There are a myriad of reasons why I blog, depth of knowledge, learning & networking with authentic audiences, reflective practice, as an ePortfolio of my professional growth. Blogging has re-energized my educational drive and perspective. Every educational stakeholder should have a blog! Writing a blog helps me to remember what I was discovering at a certain time of the school year. Each year is so different due to new technologies being introduced at different professional development days. With a blog, it helps you to keep track of all the great educational discoveries or failures that happen as you teach throughout the year and share with others. Share the story of public education in an authentic way. The press often chooses to report the negative side of education. I want to show what is really happening on a daily basis. I blog to share professional development and resources, to interact and network with colleges and to learn as I blog. Blogging has personally changed the way I teach – it gives me a personal platform to reflect and allows my students to reflect on their own learning. Blogging is a great way to reflect upon teaching and also to share your classroom with the world. I have been inspired by teachers who blog and hope to do the same for others. Watch Seth Gordon and Tom Peters talk about blogging. Check out Steve Wheeler’s 3 Things you need to know about blogging! And remember that something that is ‘Obvious to you maybe amazing to others‘. Join the #EdublogsClub to get into a routine of blogging regularly. Get students blogging using paper blogging to start with. Teach the terminology and digital citizenship. Blogging seems daunting thing to start but it’s just a habit – get into the habit of posting when you can and it will help facilitate the home-school conversations. Include pictures and you can help stimulate the “how was school today” conversation to be something much more authentic…. Always have written permission from parents for all materials relating to students. The best way to learn how to blog is to… blog! Start by following other blogs to see what they do, then write your own posts about what you have done in class, and allow it to grow from there. Kids will figure lots of stuff out on their own, so you don’t need to know how to do everything before you start! Young primary students are not always using accurate web addresses and they don’t make a return to the blog as ‘it didn’t work at home’ or ‘I couldn’t get the address to work’. Consider making a QR code stuck into home diaries which link directly to the blog site. For blogging to truly work in your classroom, it must become part of your daily or weekly literacy program. Just giving your situdents their own blogs will not turn them into bloggers. You must offer authentic reasons to blog, such a reflective journals for Passion Projects. For educators new to blogging: Integrate Digital Citizenship and formal writing skills and instruction before students begin blogging. Substantive commenting will take time and explicit instruction. Include both assigned and free choice posts. Join a blogging challenge to help you get started. The prompts will give you some momentum needed especially at first. In terms of student blogging, prompts are a must regardless of student population. Some will run with it, while other will drag their feet, but we all do well with topics to spark ideas. I would first caution people not to depend too heavily on tools that are free. My many years of experience in ed tech have taught me that really popular tools don’t stay free forever. I would also caution teachers who are engaging in student blogging to be sure to teach students how to credit images, learn about copyright and CC, and practice elements of good digital citizenship. Students not only want to receive comments but they need to be taught how to make “good” comments and not think “I like your blog” is a comment that continues the “conversation”. I think it is important for new bloggers to remember that when they first start blogging, it might feel like no one is reading their blog. Connecting it to other social media tools like Twitter and Facebook can spread their work to more audiences. They can turn these connections on when they are ready to share with a larger audience.Important for educators to abide by the social media standards and style guide of your school. For educators new to blogging, read as many blogs as you can and comment on the blogs you like. End your comment with a question to invite conversation. Link your blog to social network sites so that people you know can spread the word about your blog. Advice to new bloggers – don’t get caught up in the thinking that you need to write an essay every time you blog. It’s all about commenting. The students who make an effort to find other student blogs that interest them and make thoughtful comments get the most traffic on their own blogs. Those who don’t, get few visits–no matter how catchy their title, flashy their theme or wonderful their writing. Teach your students the skills to use their blogs: embedding pictures and videos, creating links in text, commenting skills, connecting to others, using widgets. Start small. Keep it manageable, by keeping the purpose clearly defined. Commenting is a big part of our blog and each year I explicitly teach my students how to write quality blog comments. Be sure to set up a monitor system, so that spam responses must be approved before going to post. Also, discuss what you want your usernames for students to be (broad criteria) to protect identity and for ease of identification as the teacher. Any post I publish on my class blog is automatically shared with the school Facebook page which alerts parents of new posts. Each week I post a music question on the blog which we look at in class which maintains interest in the class blog. Student blogging – Guides you through the process of class and student blogging. Personal blogging – Helps you set up your own personal or professional educator blog. 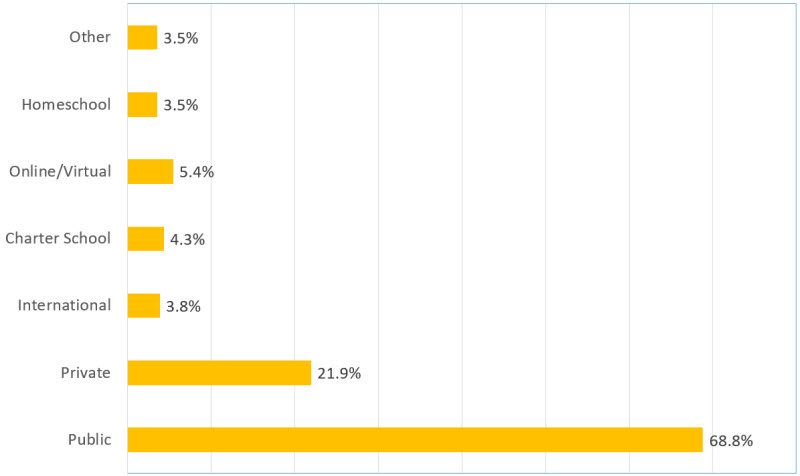 Most respondents used Edublogs (59.4%), followed by Blogger (Google Apps) (13.4%) and then WordPress.com (8.0%). 0.7% of the respondents indicated they use Blogmeister which discontinued in 2016. It’s quite common for educators to host their blogs on several different blog platforms. Edublogs (28.2%) was the most common second main blog platform used, followed by Blogger (15.3%) and WordPress.com (12.2%). For example, they may use different platforms for each different type of blog (professional/personal blog, class blog or students blogs) or may have to use a blog platform recommended / supported by their School District. Ease of use and free. Easy for me to use; lots of features; like the look and number of choices available for how it looks. Flexibility and ease of use, primarily. professional appearance secondarily. Free to students low cost to me and ease of use. A peer had chosen this platform and got me started so I went with that. blog platform dedicated to education which allows students to work on line in a controlled atmosphere. Has the features I am looking for. Easy to access from home and college. Simple to upload and edit photos. Easy to manage student posts. Secure student blog options. Edublog is the one I’ve been introduced to use. Visually it is the best. The resources provided and the PD and teacher/student challenges make it interesting and exciting to be involved in a global learning community. The look and feel is the best for elementary students. In my opinion, all education departments should make Edublogs available to schools. Edublogs is a secure site where I can provide documents and other information to a selected group. Edublogs was the first platform suggested. The person who recommended it said it was a great site for blogging. Excellent product, customer service, ease of publishing, but most especially Sue Waters and Ronnie Burt! Great tool for collaboration on projects. Great way to connect with my students and other educators. Highly recommended by those in the know. I have used Edublogs since I started blogging and love the support for the Pro Accounts. I like that students have a way to publish their work and see that it’s not just an assignment that only the teacher reads. I like the way that it can be utilized and it has a good professional look. I think Edublogs is the best blog platform to use with young students; it is not only safe but it has a great potential for interaction between students from distant countries; I’m very sorry that my school doesn’t implement this kind of global educational initiatives but I keep hoping, that soon, we will be able to be online with our students voices. I use Edublogs because it is a true educational community. But I have blogging so little time because in our educational system blogging isn’t yet so important and valuable but I hope it will be. I use this blog platform because it is quite simple to join in and it offers great authentic audience and creativity when creating a project for a presentation. I use this blog platform so i can upload my projects for other people to see my work and see if they want me to do any work for them. I also use it to upload assignments for my digital graphics teacher to see. I use this site so that my students can access it to practice music for our programs, and listen to and watch compositions that we have been learning about in music. I was familiar with it, others at the school were using it already, and I liked that it had an education focus. I was introduced to it by my vice principal about 6 years ago. I find it very easy to use and the parents love it. They can share it with grandparents across the country and even across the world, as we have students from the local military base and they move a lot. I’ve used WordPress, Edublogs, and Weebly. Edublogs and WordPress are the easiest to update. Weebly is the most flexible and gives me the most professional looking website. Inexpensive and easy to use. Good support. It caters for schools and is set in an education environment. It is easy to use, there are lots of features and help is close at hand when needed! It caters to teachers and promises an ad free environment. It’s convenient, quick, and my students can get the hang of it quickly as well. They are ELL students and they often need extra support. I can provide them this support easily due to the simplicity of the platform and my familiarity with it. It’s easy to use and update. The students can easily find the blog from home and access it if they wish to revisit videos or activities. It’s easy, inexpensive, and a tradition. I moved over from WordPress when I realized WordPress would never be accepted by our school district’s filter. The ability to have moderated classroom blogs for students for free was the driving factor for choosing Edublogs. Long time user. Great customer support. Awesome management tools. Great value. This is the one I used with my students. It was easy and the support was incredible. Can manage my students’ blogs with ease. This platform was recommended by tutors in one of the ICT subjects at the University of Technology, Sydney. Wasn’t blocked by firewall and is easy to use with students. I like the “free” price, as I don’t have class funds to purchase paid versions like Kidblog. Others recommended this blogging website to me . Blogger is the easiest blog for my students to use, although it is their choice: any blog with no advertisements and separate RSS feeds for posts and for comments is okay by me (at my school, there is support for self-hosted WordPress for students who want to do that). I use INOREADER (the single most powerful blog aggregator on the planet; it leaves Feedly far far far behind) to manage the blog network via the RSS feeds for student posts and student comments. Ease, first one I tried and hated to go through the switching of platforms. Easy to use and fuss free with adequate designs to choose from. It has all the added benefits of securing the blog and adding links and images for one to create a totally individual and tailored blog to suit the needs of the students. My current personal blogs are on Blogger. I created them there because I already had a Google account. I have not been actively blogging for some time and am ready to start again. I feel tied to the Blogger platform because my previous content is there, but am considering switching to something else. My school is G Suite school and it’s easy for me to model what I want students to do by using it myself. Students choose which platform to use and this is the the one they choose most often. Themes are better and the format is just wonderful! Ease of use; familiarity with interface. Many blog platforms are blocked in my District. Easy to add pictures and inserts between text. I used tumblr to have my students at RWS 100 students at SDSU post their final essay. It was such a pain to add students on to the site to post! Do you have other information you would have liked us to include? What other questions would you like us to have asked?